Southern California is currently in the middle of a heat wave that has me fantasizing about sweater weather. Don't get me wrong- I love summer, I love the holidays, and spring is probably my favorite season of all, but there's something about cooler weather and changing leaves that just gets me. I like to keep my autumn wardrobe neutral- lots of creams, browns, and grays accented by fall colors like burnt orange, dark green and burgundy. 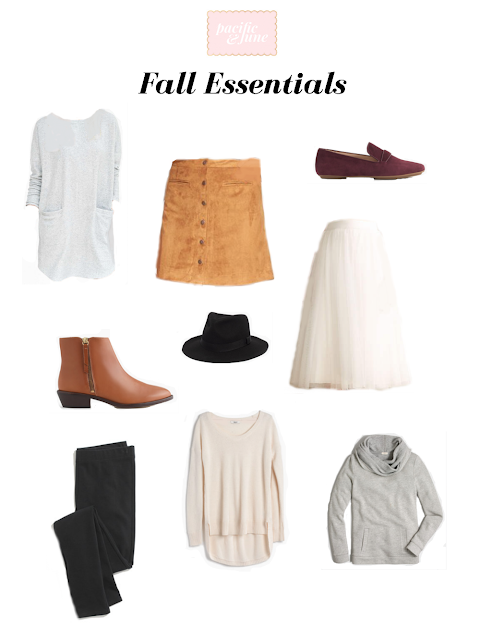 My favorite part of fall fashion? Being able to wear leggings as pants every damn day. Textures. Velvets, knits, suedes, leathers- they add so much dimension to an outfit. Since I'm pretty much stuck inside in an attempt to stay cool, I've put together some of my favorite pieces for this fall. What looks are you most excited for this fall? Let us know in the comments! Yasi "Be right back just spending all of my money on sweaters"